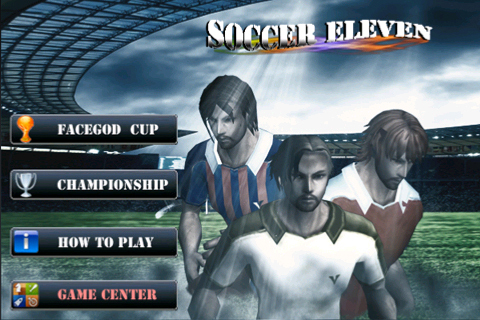 SOCCER Eleven is an addictive football game. Control 16 national teams and 16 football clubs. Lead your team to the top of the world or bring home a trophy in championship. Innovative control method, just use your finger for passing, shooting, tackling or crossing. The control is extremely easy. Apply your strategy and setup different team formation. Build your own style of play. Control your players and play your direct football, counter attacking football or possession football. 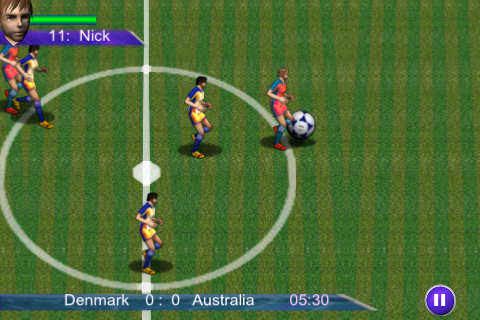 Play the football match with your friends in Game Center. Compete with them in the Facegod league. Let's enjoy the fever of football. Two different modes , FG cup and Championship. 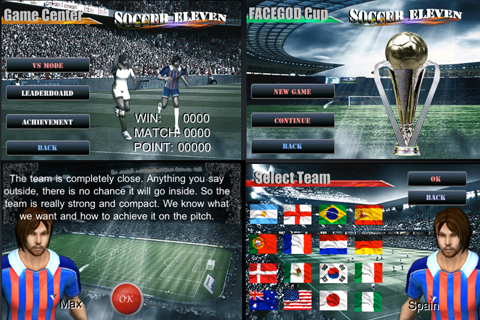 16 national teams and 16 football clubs are available. Guarantee endless play time. Just use your one finger for passing, shooting, tackling or crossing. The control is extremely easy. Customize your favorite team formation to release the power of your team. Each player has his own face, ability and talent. Make use the strength of each player to score. Find your friends through game center. 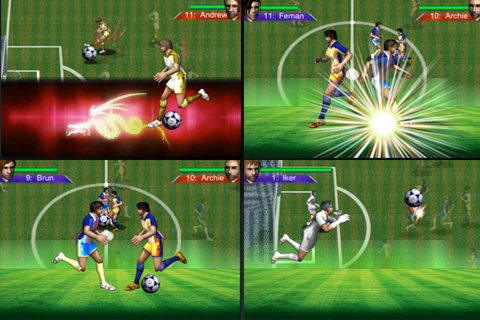 Play football match with your friends. Compete with them in the Facegod league. Experience the exciting side of the most popular sport on the world.